Find luxury in the details of this handsome Barbour Fell performance tattersall shirt. A performance gentleman's tattersall shirt with stretch, and a silky twill weave. 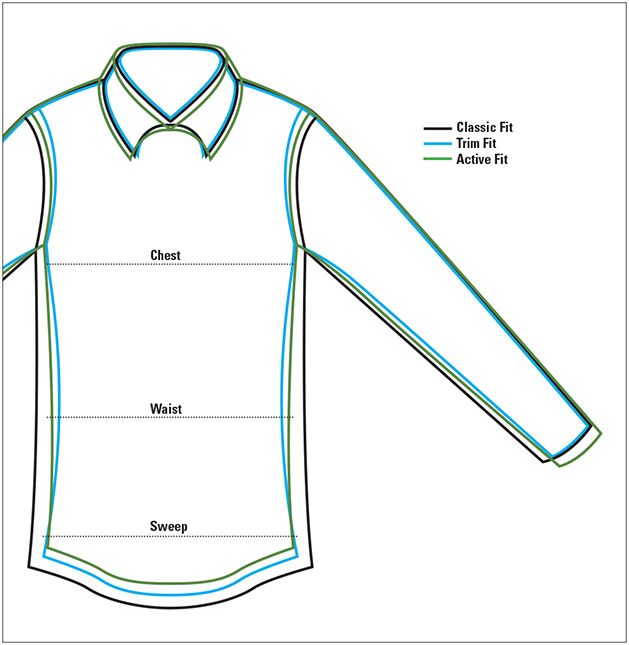 Button-down collar and a pocket on the left chest. Barbour flag label on the pocket. Nylon/spandex. Washable. Imported. M(38-40), L(42-44), XL(46-48), XXL(50-52). For best fit, order one size up from your normal size. Small 36" 14 ½" 33"
Medium 38 - 40" 15 - 15 ½" 33 ½ - 34"
Large 42 - 44" 16 - 16 ½" 34 ½ - 35"
XL 46 - 48" 17 - 17 ½" 35 ½ - 36"
XXL 50 - 52" 18 - 18 ½" 36 ½ - 37"
Because size measurements can vary dramatically across the marketplace, it can be hard to know your best fit. Our Customer Service experts are here to help. Just chat, email, or call 888-235-9763 for the actual garment measurements of any item we sell.